The only previous manned dive to this deepest spot, called the Challenger Deep, was carried out by US Navy Lt Don Walsh and Swiss oceanographer Jacques Piccard. 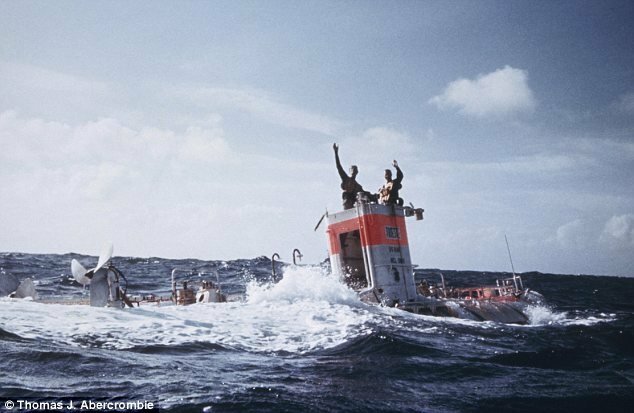 They took the plunge to the deepest point in the ocean in a bathyscaphe called Trieste in 1960. It took Mr Cameron just two hours to reach the seafloor. 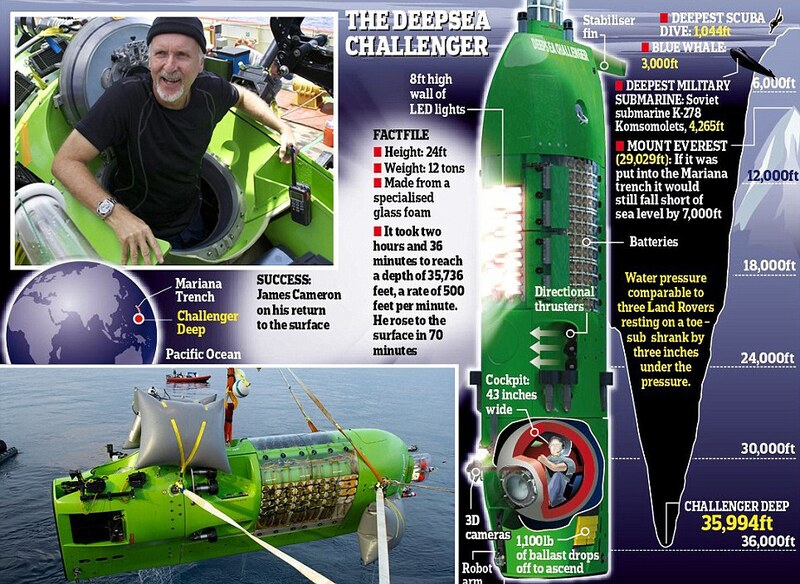 While his bright green submersible moved through the water like a vertical torpedo, the director was squeezed into a tiny chamber that kept him safe from the colossal pressures that exist almost 11km down. 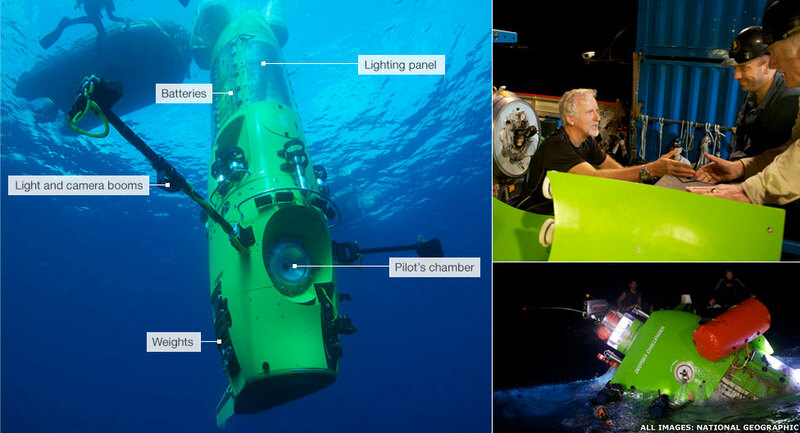 He told the BBC that donating the vessel to the Woods Hole Oceanographic Institution (WHOI) would give the sub "a second phase" of life after the dive. He said that funding was so scarce that plans to take the vehicle on a second series of dives had not been possible. WHOI is one of the world's foremost research centres dedicated to ocean science. It already operates a a number of submersibles including the famous Alvin vehicle.